That’s the hope, isn’t it? That I would arrive at Christmas and my soul would be fixed and rested in Emmanuel. But more often than not, the season pulls me in every other direction than the one I desire. I rush into Christmas busy, worried, distracted, pulled from party to party, from purchases to baking, to showing up and setting up. One more gift. One more card. Shoes to go with the Christmas Eve dress. Get in the car now! WE’RE GOING TO BE LATE TO THE SERVICE! I get to that moment while belting “Joy to The World” with dried candle wax on my sweaty hands and discover that the words feel distant. But this year, my hope is to sit on that pew/chair on December 24th and have room to receive – that I wouldn’t have filled up my every thought and moment to the brim – and have no empty space within my soul. MIGHT WE approach this season with intentionality so that there is space and room to breathe? So that the 24th is the culmination that ushers in the celebration? 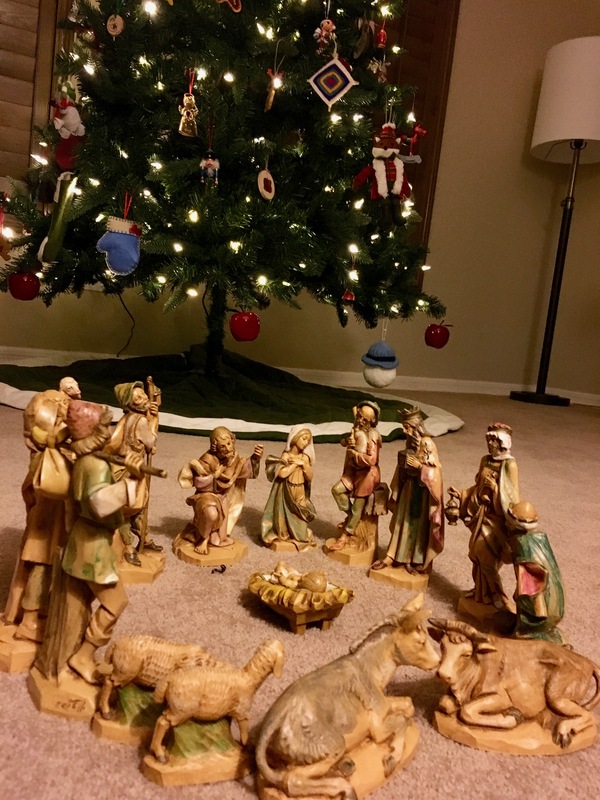 What if Christmas brings freedom to REST? I’m attempting to intentionally direct our days by taking inventory of my list. 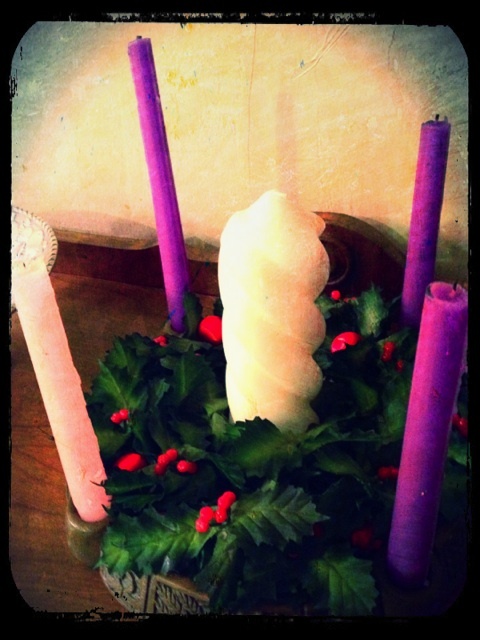 What is essential this Advent? Will this direct my heart toward Emmanuel? Rather than being pulled by tasks, I want to pursue values that enrich this season. So here’s my most important list this Christmas. Our soul runs on the Living Word. “The Word became flesh…” John 1:14. We were designed to connect with our Creator, sit at his feet, and treasure the very words of God. Make space each week, each day for YOUR heart to prepare Him room. You cannot pour from an empty tank. The strength needed to bring light to the people around you will only come from THE source of light. Dallas Willard said, “Time is made, not found.” The temptation is to pray, “Lord, be with us.” But the promise of Emmanuel is this: He IS with us. Will we choose to be with Him, to find Him each and every moment? We tell the story over and over in my house. Daily, if not hourly, we talk about what Christmas is really about. We have to keep reminding ourselves because it is just too easy to forget. There are countless resources available- Advent wreath, Jesse Tree, Jesus Storybook Bible, Music, Nativity sets. 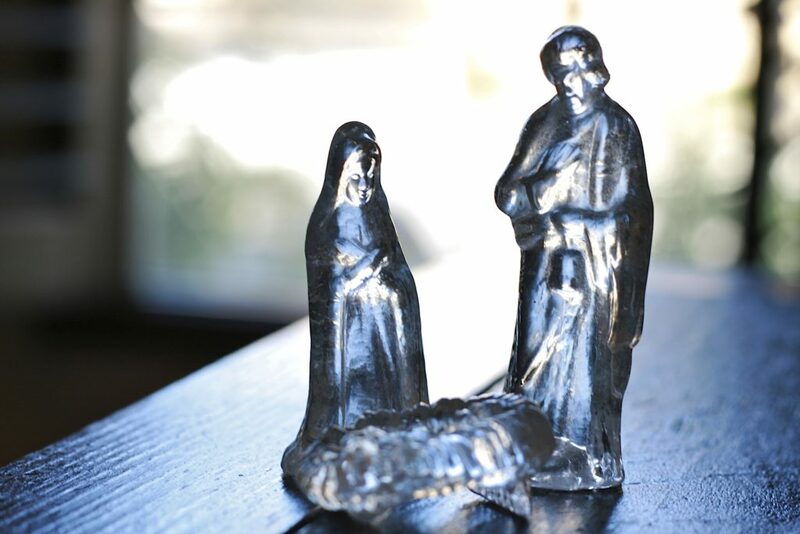 Celebrating Advent as a family can let your home make room for Jesus. This typically looks messy and unorganized and not at all like the idyllic picture in your head. We are using a Jesse Tree this year to remember the full picture of God’s Rescue Plan. Because my daughter is 4, the goal is that she hears the story and that we mention the connection to Jesus. These two go hand in hand. The more generous we are with our time or resources, the more thankful we tend to be. We’ve started some traditions – gifting goats and sheep through Food for the Hungry, sponsoring kids through FH and Compassion, leaving snacks for the delivery guys, taking baked goods to neighbors. Each of these is a chance to see the world through the eyes of my kids. Simplify. The temptation is to think MORE and BIGGER. But this year we are looking at lights with the kids in the wagon. We make pizza on Fridays and have a family movie night as part of our Sabbath. We still read and rest on Sundays. But we also do it all with lights, candles, hot chocolate, and Christmas music. We have stockings and we will make cookies for Santa. I want to keep what works and stop before my plate is too fall to enjoy. Ask yourself: am I managing this month or enjoying this month? What gives life to you this season? Choose those things! Your kids will jump on any tradition train, so give them good ones to remember! Every morning in the coming month, I will seek to wake in order to rest and anticipate. But if we have a bad night, or if I miss a day, or if our Advent readings are a disaster, I won’t let the lie sneak into my heart. The one that says I haven’t done enough to rest. THE GOSPEL MEANS I CAN REST. The Gospel means I don’t have to be a slave to my task list or the expectations of this world. THIS IS AN INNER REST TO STOP STRIVING AND FIGHTING. You can’t earn it. You can’t make Him love you any more or any less than He does right now. The Gospel tells me the work is already done. This type of rest relaxes in full confidence. I don’t strive, I trust. Every argument of “not enough” is put to rest. I am not enough, but Emmanuel is. God IS with us. May you find rest this Christmas. P.S. I’ll be sharing some of my favorite resources on my Facebook page in the coming week. Follow along and please feel free to add to the list.